Hoping to combat the sort of controversy it guaranteed the second it gave the director of Black Swan license to make an “edgy,” “not very religious” biblical epic, Paramount has announced it will affix its marketing materials for Darren Aronofsky’s Noah with a lengthy disclaimer intended to appease more conservative Christians, whose offended sensibilities are typically smoothed over by thoughts expressed in writing. The studio made the decision after months of increasingly fretful post-production, during which it was reported that Paramount was having second thoughts about releasing Aronofsky’s cut, a battle he ultimately won. Shortly thereafter, rumors of the growing controversy led to a survey showing faith-driven consumers are generally unsatisfied with the way Hollywood reimagines biblical stories, as filmmakers insist on forcing the dogma of their own beliefs—beliefs maybe not everyone shares—on the rest of the world. 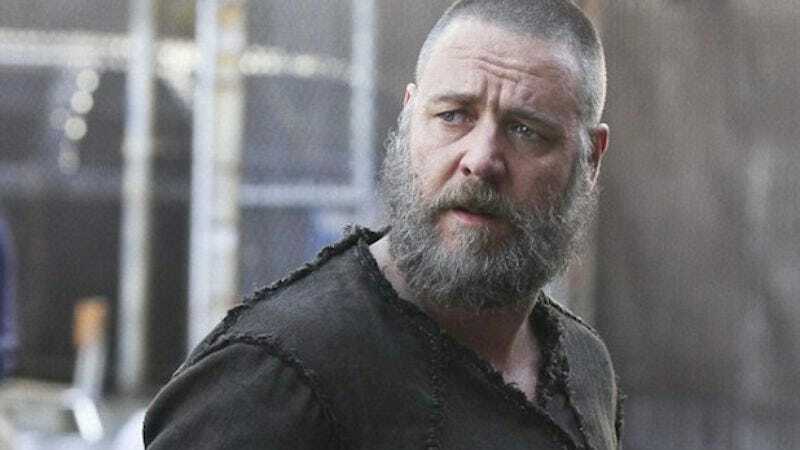 With those words set to appear on the film’s website, and print, radio and online ads, Paramount can now be sure no one will ever take the story of Noah or anything else from the bible literally.